I Know a Guy. They Call Him Fat Sal. He Makes Big Sandwiches. I'm a food writer, so I go to a lot of restaurants. Obviously! By the same token, I experience a lot of different restaurant concepts. Some of them work. Many don't. Once in a while, the concept is a home run like L.A.'s first Nashville hot chicken joint called Howlin' Ray's. It's uncomplicated, unpretentious and people love it to the point of waiting hours for a taste of Howlin' Ray's founder Johnny Ray Zone's spicy fried fowl. A few weeks back, I tried a place I've been hearing about for a bit now and that the kids have been going nuts for. It's named Fat Sal's. And it is what it is. The thing I thoroughly respect about a restaurant like Fat Sal's is that it doesn't pretend to be anything but what it is: a place to eat without giving an eff! 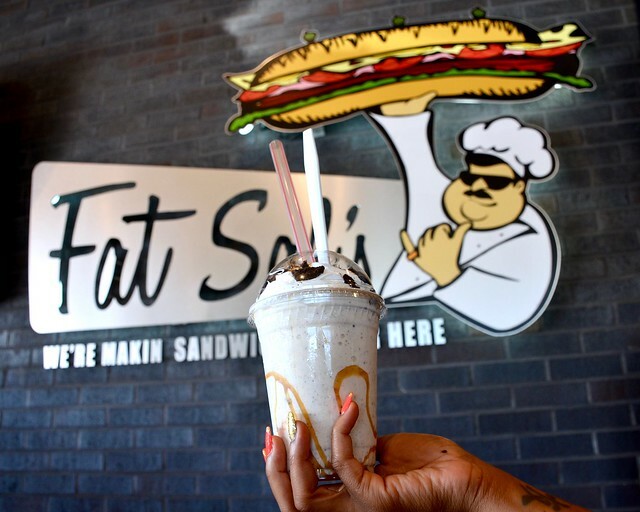 Menu items like a mega-hero sandwich named Fat Jerry, stuffed silly with tasty things that you'd normally have to spread out on a platter—like ribeye steak, chicken fingers, mozzarella sticks, bacon and fried egg—are standard fare at Fat Sal's. 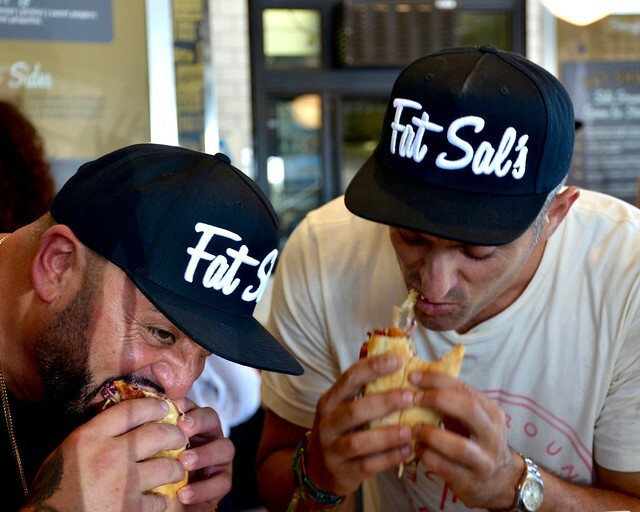 Salvatore Capek and Joshua Stone are the founders of Fat Sal's. Capek is the Sal of his eponymous, well-girded concept. He tends to hang back while Stone does the schmoozing and charming. As mouthpiece of the operation, Stone can play host like nobody's business. But, trust me, it's all business, and a really great one. 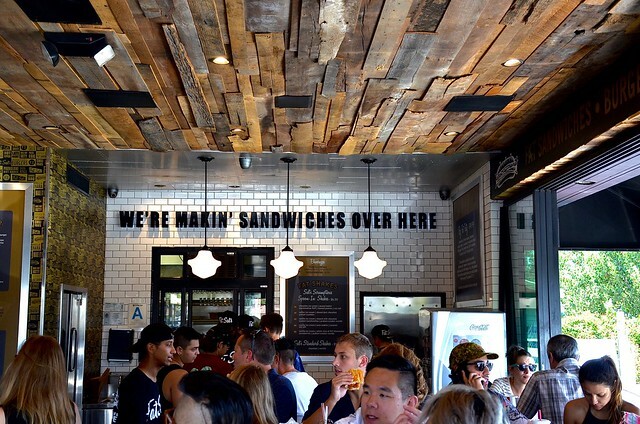 Each of their Los Angeles locations are packed with hungry gluttons ready to down overstuffed heroes filled with all kinds of fried, crunchy goodies and layers of animal protein, then the tasty totality washed down by stupendous shakes, aka Fat Shakes, that may include a whole slice of cheesecake as an ingredient. The place is called Fat Sal's! What'd you expect? Quinoa bowls? Get outta town! The newest location is in Encino. 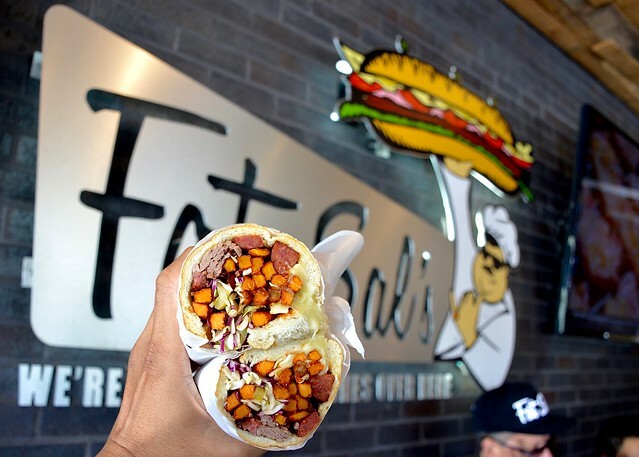 Like the other local Fat Sal's in Hollywood and Westwood, the Encino store has been doing brisk beefy business since its grand opening. 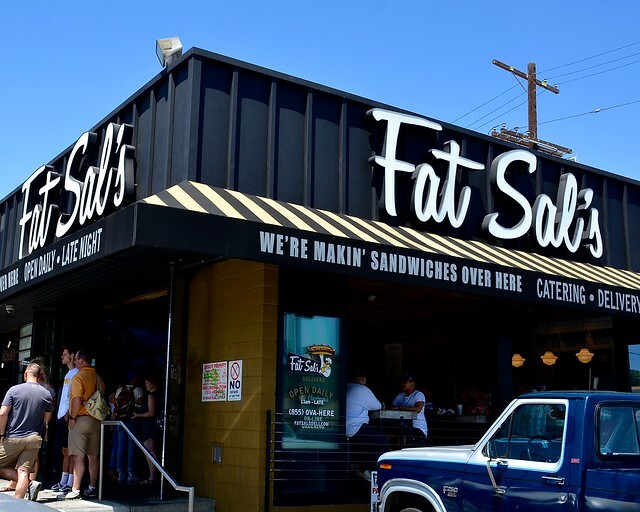 Although there isn't much of a nightlife scene in Encino, Fat Sal's is open 'til 3 a.m. I'm not sure if that's going to be sustainable, but, hey, it could be a nice substitute for a 24/7 Denny's. Back in the day, I could've eaten at Fat Sal's all night long until those Long Island iced teas in my gut were absorbed by these massive meatwiches. Now that I'm older, more sensible and quit the LI teas, I wonder what a Fat Sal's vegan option would look like. Then I imagine Fat Sal himself hollerin' in my ear, "We're makin' sandwiches ova here!" Suddenly, I spot the lonely veggie burger on the Fat Sal's menu board (yes, even Fat Sal's has a veggie option) and all is right with the world. Nowadays, I may not eat like Fat Sal, but I appreciate its existence because it is what it is. And that's what makes Fat Sal's great!